FOR Moy joint-manager Gavin McGilly there was no magic tactical switch that led to the side’s sublime second half against Newbridge this afternoon. 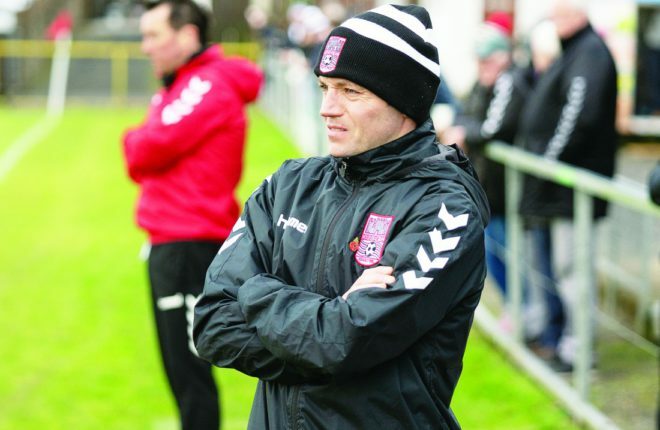 FOR Moy joint-manager Gavin McGilly there was no magic tactical switch that led to the side’s sublime second half against Newbridge yesterday, just a simple call for more. The Tyrone champions were second best in the first half and were lucky to only trail by three points at half-time. After the interval though, whilst playing into the breeze, Moy produced a storming performance to out-score their opponents by 12 points en route to a 2-15 to 1-9 win. They will now play Rostrevor in the Ulster final after the Down side narrowly saw off Donegal outfit Milford in yesterday’s second match at the Athletic Grounds. “I don’t know what happened us in the first half but we saw a bit of what we could do there in that second half,” said McGilly, who takes the side along with Audi Kelly. “There was too much at stake not to go and play. There was an Ulster Club final spot up for grabs and to leave it like it was at half-time, you wouldn’t have been there. “We had to do something different and to be fair to the lads, they showed their stuff.